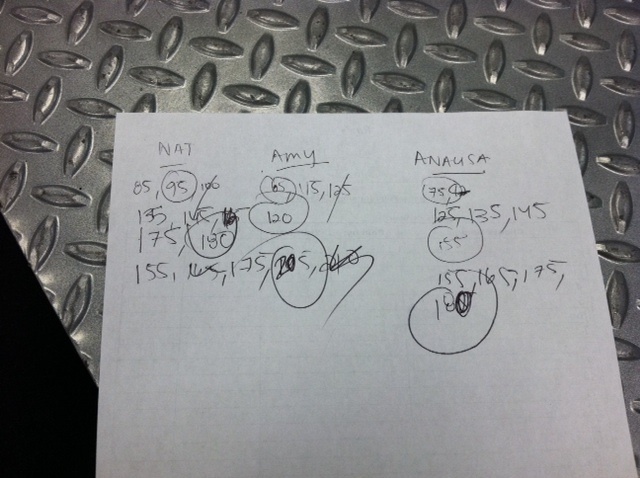 CrossFit Total is my all-time favorite WOD. It's the ultimate test of functional strength and involves no cardio :) I'm always excited to see what kind of progress I've made in 5 months. Our last CFT was in May. 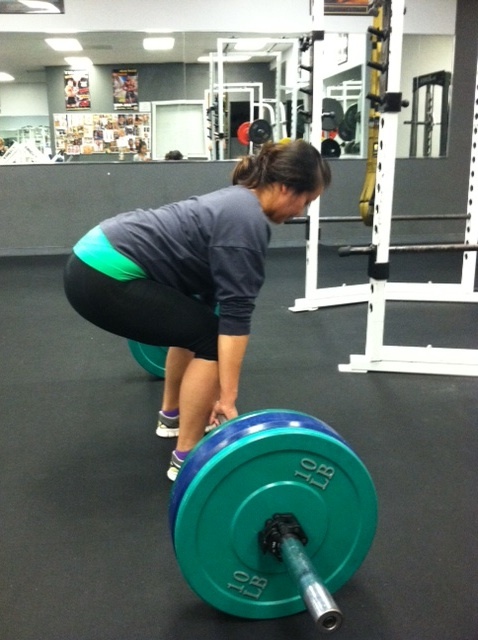 I also love CFT because I get to do one of my favorite lifts: the deadlift. Having strong form creates the power in the lift. Below are my tips on how to get power out of your dead. As always follow proper deadlift protocol: keeping a slight bend in your knees, keep your back flat, core in tight, and chest up with shoulders rolled slightly back. 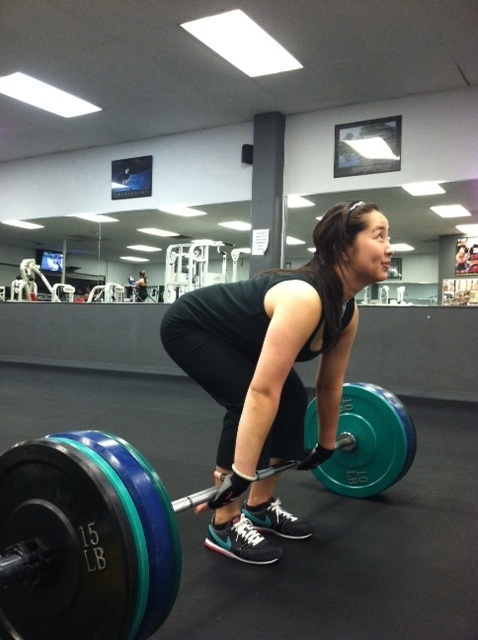 To make sure that you pull the bar up parallel to your body, walk up to the bar, rather than roll the bar to your leg. Walking up to the bar will position the bar as close as possible to your body. When you roll the bar close to your legs, you risk the bar not being perpendicular to your body plane. Before you lift, focus on keeping your form tight. Once you are ready to lift, don't hesitate. Engage everything you have to pull that weight off the ground. Also remember to quickly "open your hips" to get that real power. Once off the ground, exhale as you straighten up. As you bring the weight back down, continue to keep your form. I've seen people drop the weight after they stand up straight. This can cause your lower back to round out and pull as your fall with the weight rather than controlling its descent. What are you PR (personal record) lifts? Any tips for a max rep workouts?